While the NBA All-Star Game anchors the league’s annual weekend showcase, All-Star Saturday Night arguably comes with the most excitement. 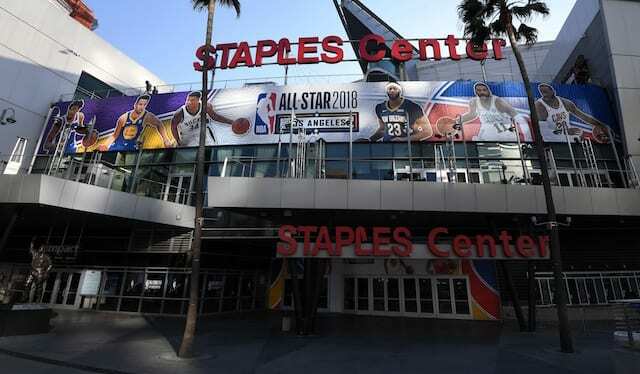 Beginning at 5 p.m. PT live on TNT, the Taco Bell Skills Challenge kicks the night off. It will be followed by the 3-point shootout and conclude with the Slam Dunk Contest. Included below are all the night’s participants and details of each event. Once again the NBA is going with big men vs. guards battle for the Skills Challenge which definitely adds a bit more competition to this. A big man has won the competition in each of the last two years as Kristaps Porzingis is the defending champion while Karl-Anthony Towns was victorious two years ago. Porzingis was scheduled to participate but is unable to because of injury and he was replaced by Drummond. Usually, the player who can make the 3-pointer on the first attempt winds up doing the best, though some do get stuck on the bounce pass portion as well. This group is filled with shooters so it’s difficult to get an idea of who would be looked at as the favorite. Considering current Clippers guard Lou Williams will definitely be the crowd favorite, especially with his former ties to the Los Angeles Lakers. The 3-point contest is always one of the most fun, competitive events of the weekend and this field is once again packed with outstanding shooters. Gordon is the defending champion and will look to be the seventh player to repeat as champion and the first since Jason Kapono in 2007 and 2008. But he has a stacked field looking to prevent that. Thompson, George, Lowry, and Ellington are all in the top-10 in 3-pointers made, as is Gordon, but Thompson and George also rank in the top-10 in 3-point percentage. Meanwhile, Harris and Booker are posting career-highs from deep this season. The darkhorse could be Beal, who is one of the league’s best pure shooters and can get as hot as anyone once he gets going. One also has to wonder if Lakers fans will shower cheers on George once again. You have to think he would actually hear them this time. The showcase everyone waits for every year, this Slam Dunk field may not have the star names, but the potential for a classic is there. The recently traded Nance will undoubtedly have the crowd behind him as he was a fan favorite with the Lakers. He says he has had his dunks planned for a long time and it is well known what he is capable of. 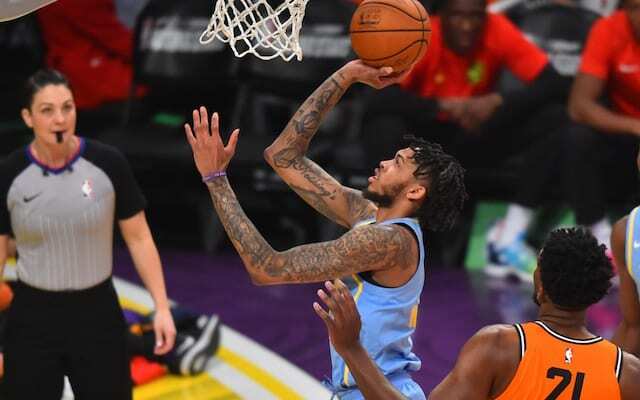 Both Mitchell and Smith have outstanding athleticism and have already begun compiling highlight reel dunks in their rookie seasons. The fact that both are 6’3 guards also gives them a bit of an advantage as impressive dunks always look a little better when coming from the smaller guys. Oladipo is the lone All-Star and only player with dunk contest experience. He already has an idea of what works and what doesn’t and he’ll be looking for a much better showing this time around.